Looking to make some passive income for your business? Stay ahead of the curve and RISE ABOVE the competition. 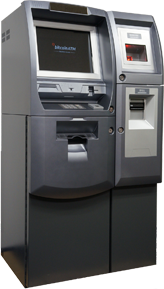 Become a Crypto ATM host today! It’s easy, effortless, and only requires power, internet and about 2sq feet of space. Scroll down and complete the form, or drop us a line. We love hearing from our clients and strive to be that personal touch in our digital age. Join us, we’re in it for the long haul. Enjoy a passive income stream. We manage all maintenance, stocking, and legal requirements. Power, Internet and 2 sqft; simple as that. From installation to stocking, a Phoenix Crypto member is here to help. You get a cut of the action. There is no cap on earnings. Easy to read, no hidden fee, contract. We’re here to work with you, not against you. Join the Team!